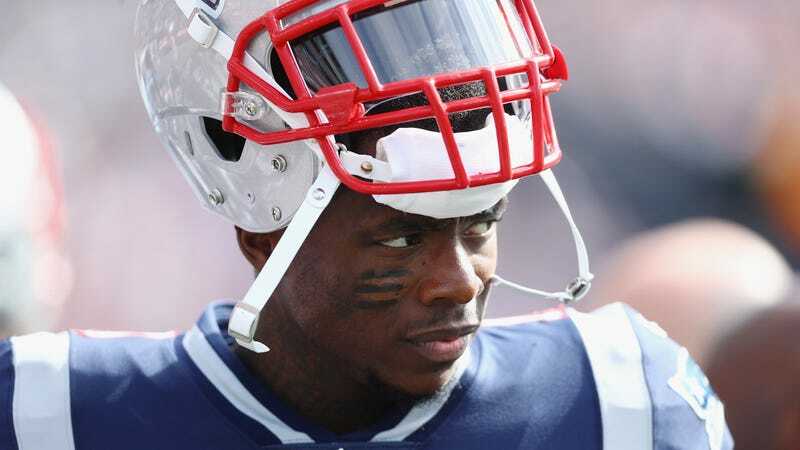 When the New England Patriots traded for wide receiver Josh Gordon back in September, they obviously were aware of the potential risks—that much was clear with how little the team gave up for him. The understanding of Gordon’s addiction and mental health concerns didn’t stop there, however. A report from ESPN’s Adam Schefter revealed that the Patriots had a designated security team to be around the receiver at all times to prevent any sort of slip up that would lead to a suspension. The assigned group wasn’t as successful as the Patriots had hoped they would be; sources told Schefter that Gordon had found a way to slip by his security team the weekend of New England’s bye week, Nov. 18. The report describes that moment as the reason Gordon was handed an indefinite suspension on Thursday for violating the league’s drug policy. The fact that the Patriots were willing to go through such lengths to keep Gordon away from “trouble” speaks to the degree to which they believed in his talent. If he was just a middle-of-the-road receiver, the team likely wouldn’t have even bothered trading for him at all, let alone hiring a team to follow him constantly. But this plan of action probably also shows just how little they were aware of Gordon’s illness. It might have come from a good place, but that was not the support Gordon needed at the time, and it showed.